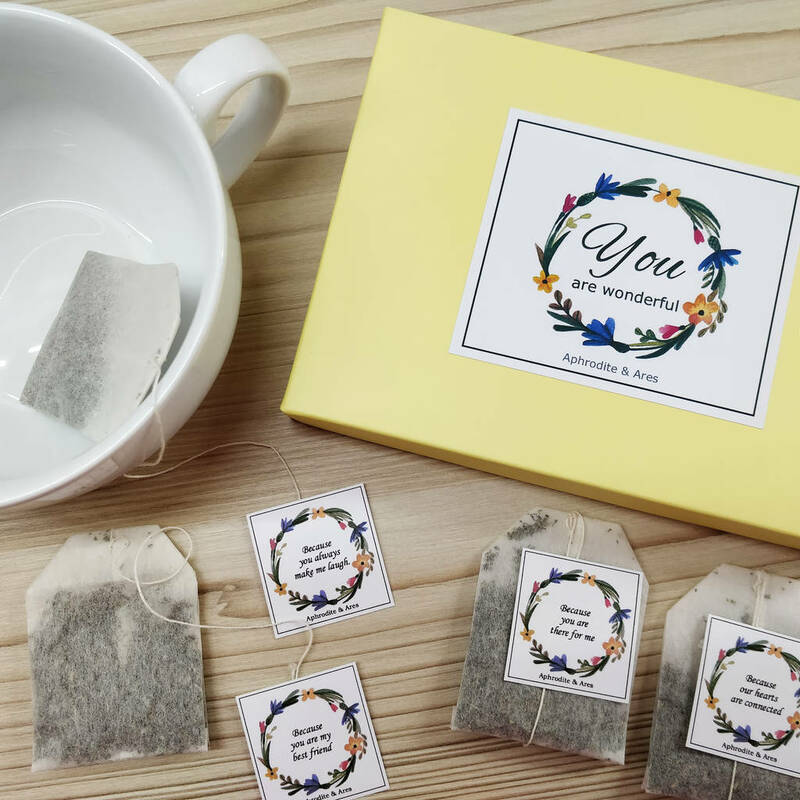 12 quality Tea Bags with 12 different personalised messages in a lovely gift box. A unique and thoughtful gift. This is a unique and stunning gift to celebrate your friends and family. We are sure there are many many reasons why you are so close and this gift is perfect to remind them why they are so important. A perfect gift for friends, family member or anniversary, a Birthday, Christmas, Mother's Day, Valentine's Day or just a little something to celebrate your unique relationship. 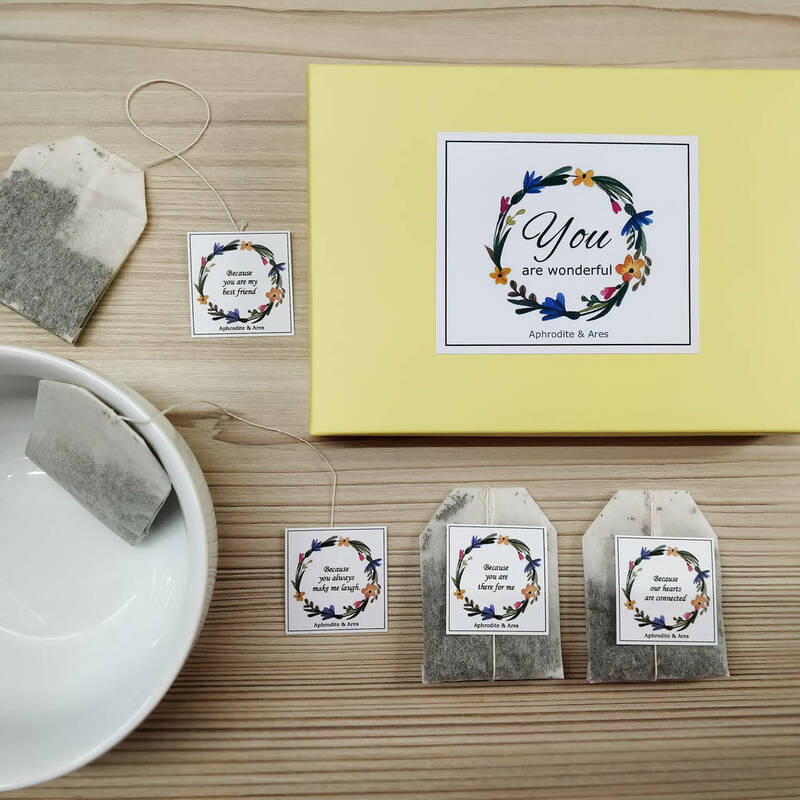 1) Choose between personalised tea bags or not personalised. 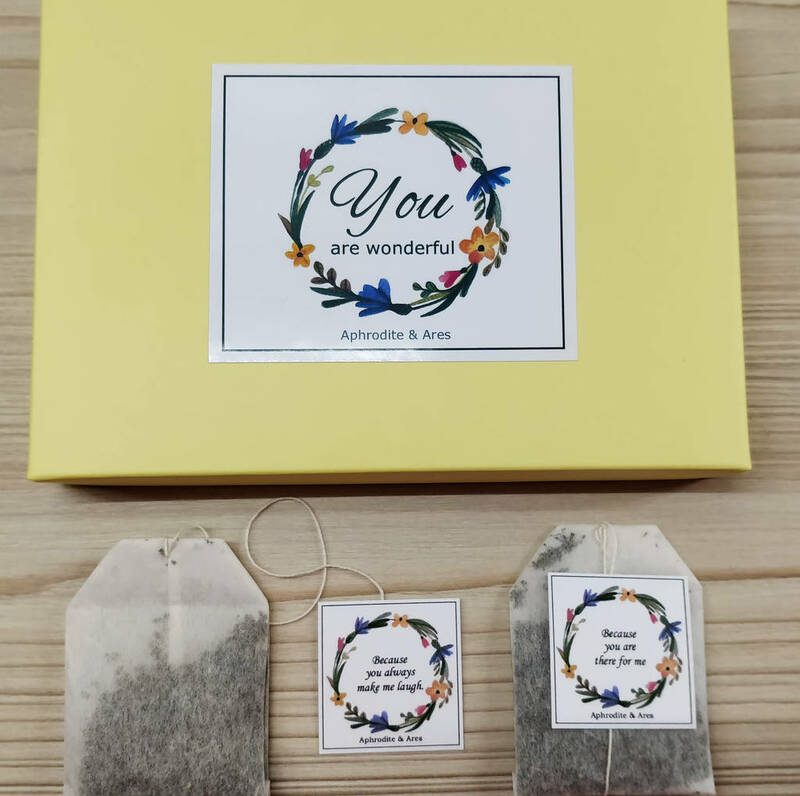 2) If you have chosen the NOT personalised you will get 12 English Breakfast tea bags with our messages (see the list of messages below). 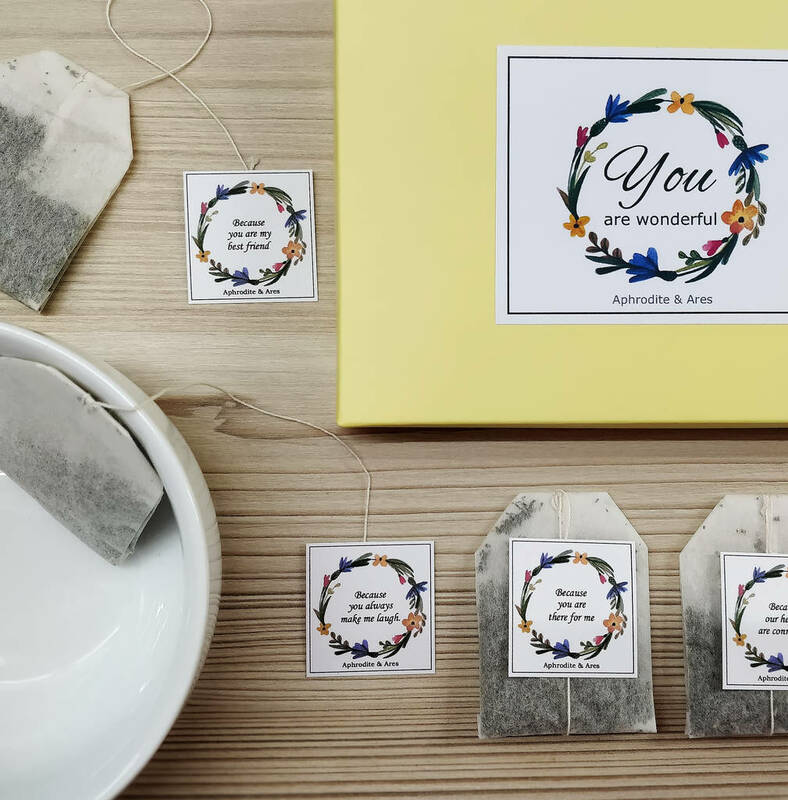 3) If you have chosen the personalised tea bags, please enter the 12 messages, choose the tea flavour and the front cover. You will get an amazing personalised gift! Please check accurately the spelling for the messages as we will print exactly what you have written. Thank you. 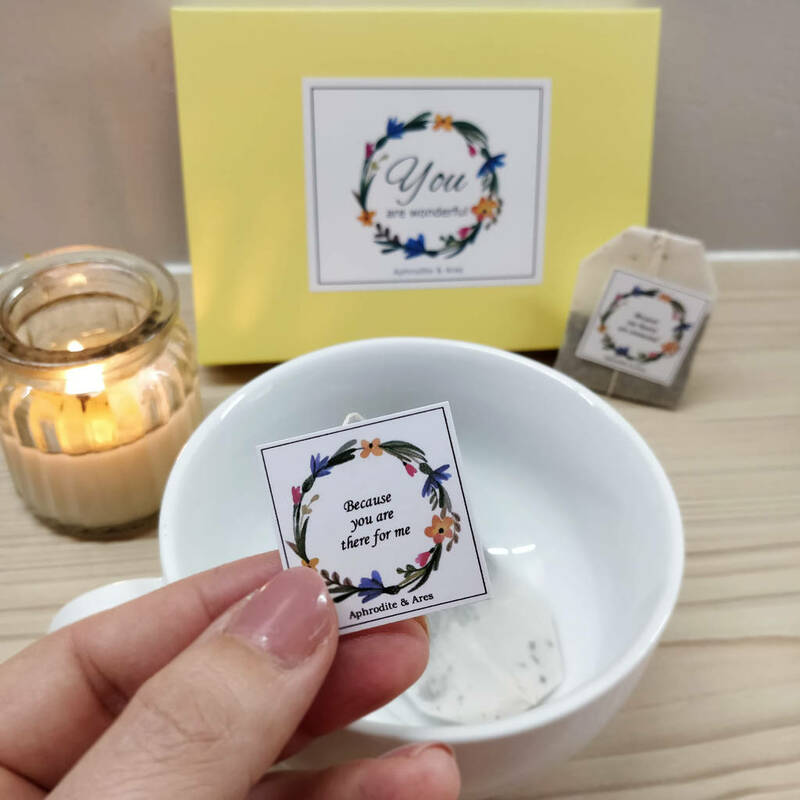 Our range includes 12 Reasons why WE ARE FRIENDS, 12 Reasons why YOU ARE MY BESTIE, 12 AMAZING MEMORIES of our Friendship, Design you Own 12 Reasons why and many more. You can choose between Fairtrade English Breakfast Tea, Fairtrade Green Tea, Fairtrade Earl Grey Tea, Fairtrade Blueberry & Elderflower (Caffeine Free), Fairtrade Peppermint Tea (Caffeine free), Camomile (Caffeine Free) or from our latest luxurious Botanical Infusions (Strawberry & Cream, Rooibos, Orange & Cinnamon, Passion Fruit & Cardamom. Because I trust you - Because you always had my back - Because all the giggles - Because you give the best advices - Because friendship is about mutual support - Because your jokes are the worst - Because you make me laugh - Because we are close even when apart - Because we have the best time together - Because you know what to say...always - Because you always forgive - Because you are not afraid to apologize. This product can be fully personalised for original corporate gift. Please do get in touch with us.